Skate parks are now dominated not by skate boards - but by scooters. 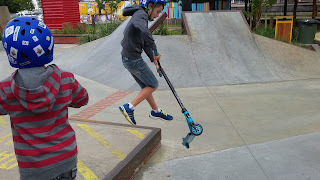 Over the past few months the boys have talked me into purchasing the best trick scooters for them - Shay rides the ENVY Prodigy , bought at the scooter hut and Levi's weapon of choice is the Grit Elite 2015. 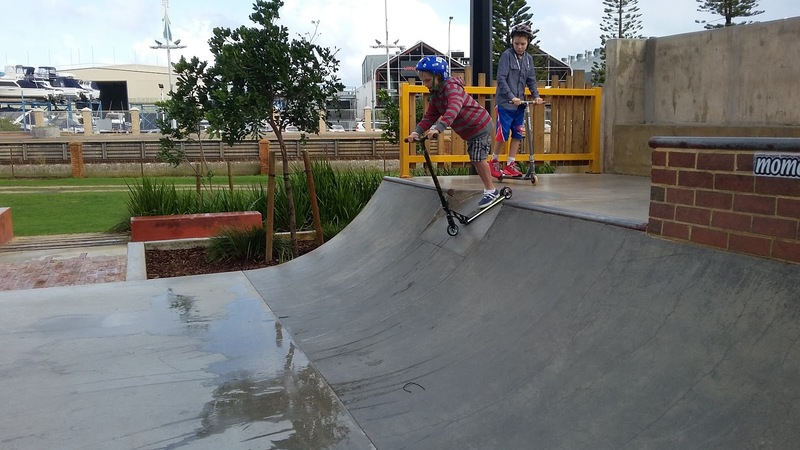 We hit the new Esplanade Skate park in Freo.. A brilliant venue right in middle of Fremantle.